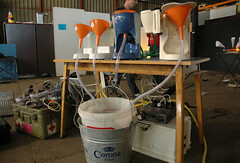 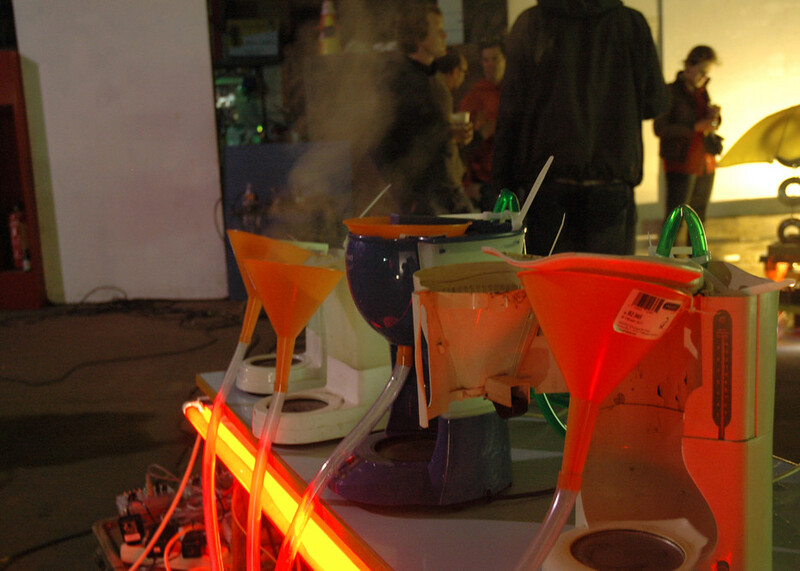 a set up with 4 coffee machines at DOK-Gent, Belgium. 4 electronic valves control the water. 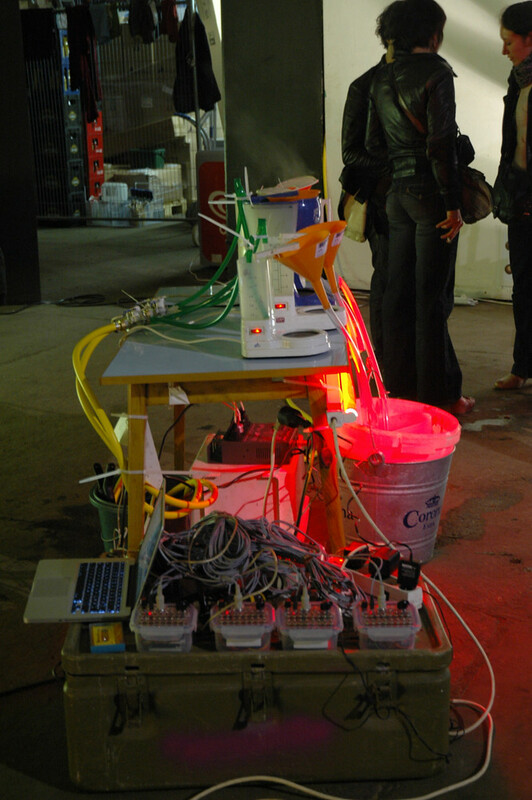 4 sequencers control the valves. 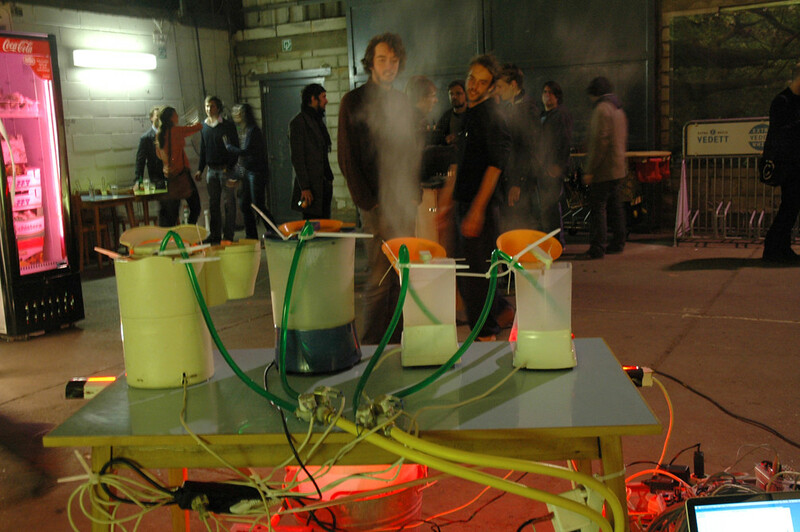 This is a remake of Sweet Sissy and the Ballroom Hiss that we did in 2002 In vooruit Gent where we used coffee machines , but there it wend al wrong and we flooded the place and blew the fuses. 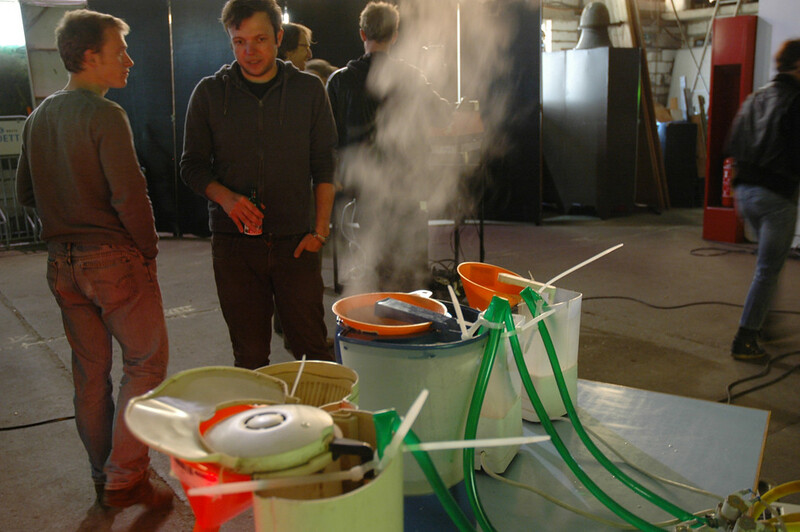 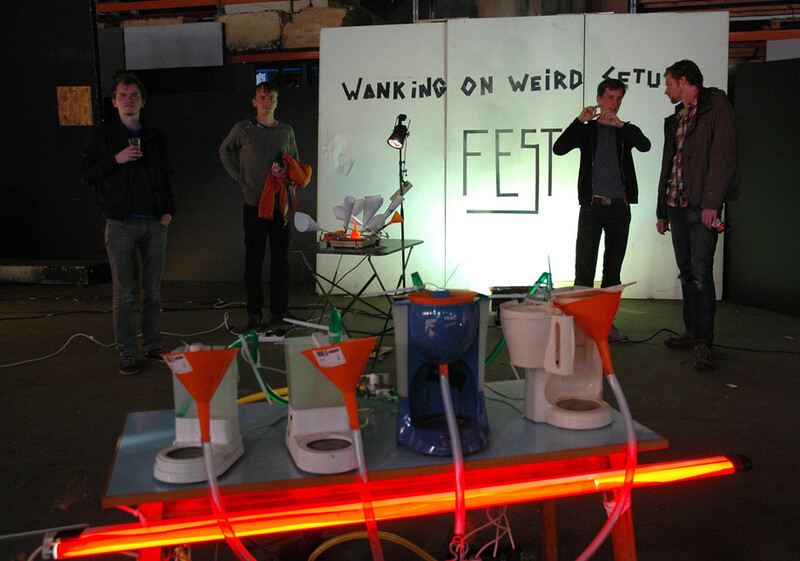 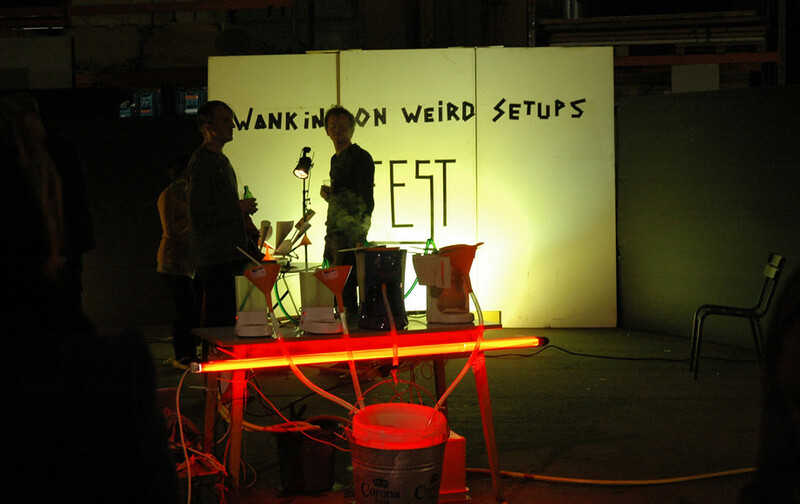 “Wanking on Weird Setups Fest” is a festival that celebrates out of the ordinary audio setups. 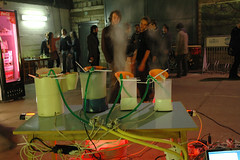 Kapotski invites musicians and sound artists to build sound installations that fit within 1 square meter. 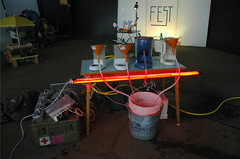 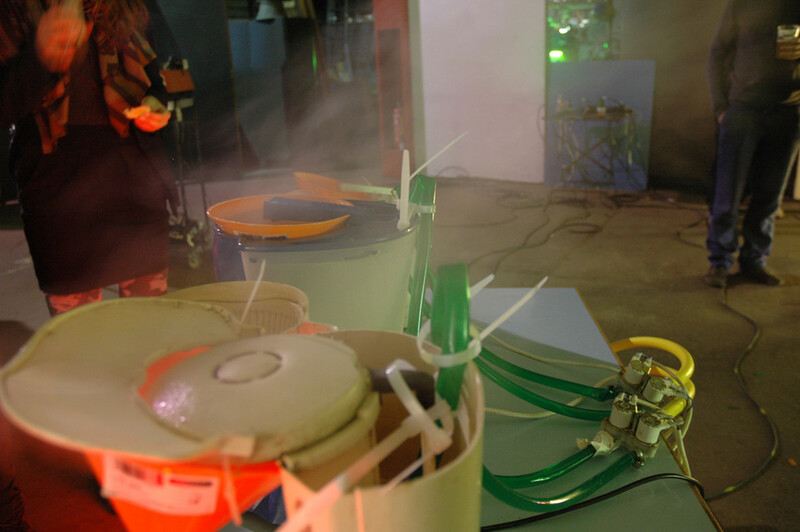 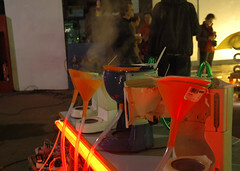 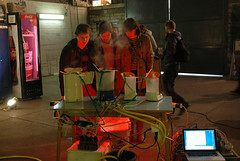 The installations play autonomous. The only control they have is an on/off button. 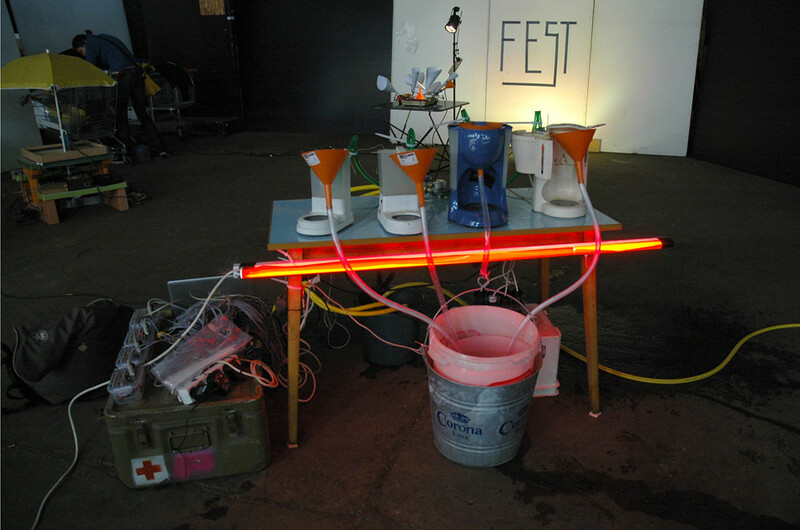 No concert, no performance: only Setup!